When it comes to security alarms, whether for your home or business, it is not enough to simply install it and forget about it. As with any system, it needs to be checked regularly to ensure it is in good working order and there must be a servicing and maintenance schedule in place as well. All too often, alarms fail because improper maintenance has been undertaken – or worse, none at all. We turn our attention this month to why servicing is important and why it should not be forgotten. As with any electrical and electronic system it is made up of a series of components and parts which should be checked regularly to make sure they are working as they should. Catching any problems early can prevent an escalation to a much larger problem or a compounded failure of the alarm system. A maintenance and servicing check will consist of a systematic inspection of the whole system. This will include checking the internal batteries are working well and that the fuses and circuits are operating as they should. The engineer will also check the history logs for your alarm system to confirm there are no malfunctions and to identify any patterns that may point to a potential problem. These logs will also offer a clear picture of how you use your alarm which will help them to understand what, if any, particular checks or maintenance may be required. In most cases, if there is fault or problem identified during maintenance it can be rectified at the same time. Typically, it would include replacing batteries or fuses that are no longer working as efficiently or resetting the system. You should receive a full service report on completion which should be kept as a record of the alarm system’s maintenance logs – similar to your car servicing, for example. Most alarm systems require an annual service. However, if yours has any police-approved monitoring components it could be that servicing is necessary every six months, or twice a year. It is also worth checking with your insurance company whether they require a more regular check than annually. As an example, batteries tend to run out within a couple of years, but other problems such as corrosion (for example, if you live in near the sea as the saltier air can damage components) can cause serious damage if they are not caught in time. The same can happen if spiders or other insects find their way into your system and set up home. 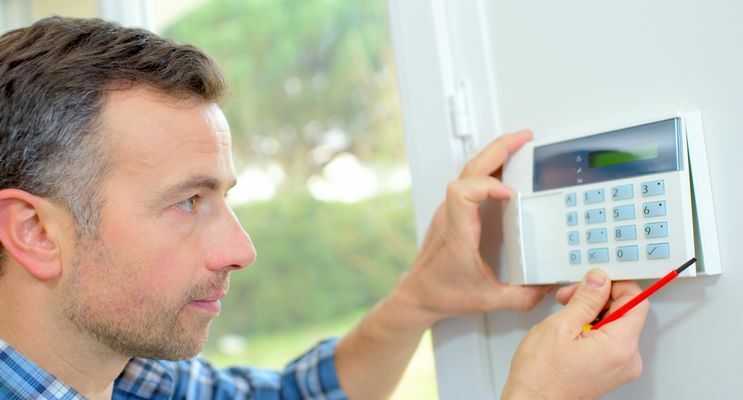 Not catching these problems in time can end up with a wider system failure or prevent your alarm system from working properly when you most need it. Who can service my alarm system? Any reputable company can do so although your first port of call should be the company which installed it in the first place. If that is not possible, look for a company which will check your system against the required British Standards and the National Security Inspectorate standards. For help and advice when it comes to alarm systems servicing, repairs, or installation our DNA Security team is on hand to help. Just call us on 01424 718 844 and we will ensure your home or business is safe and your alarm is in good working order.